Bajrangi Bhaijaan 2nd Tuesday (12th Day) Collection Update, Rock Solid. 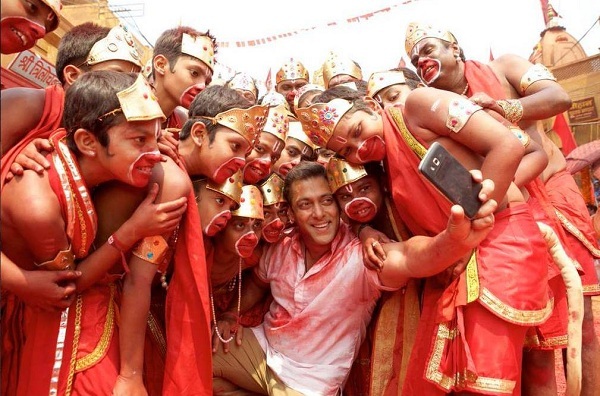 Bajrangi Bhaijaan is holding extremely well again on 2nd Tuesday (12th day) at box office. As samples are received for Morning and Noon shows film has registered a drop of less than 10% from 2nd Monday which is excellent. In fact at places occupancy is more or less similar to 2nd Monday. Film opened to around 25% occupancy in Morning shows. After that film picked up well to report around occupancy of around 35% for Noon and Afternoon shows. Film has picked up well again from Evening onward and as latest reports are coming in occupancy is reported around 60-65%. Story should be same for Night shows also. BB is set to head for another big day on cards. Film has done historic business in 2nd weekend and 2nd weekdays are looking like putting up a solid total. Stay tuned for more updates on 2nd Tuesday.